If you read along often, you know that I’m a good ole Southern boy at heart and that most of my cooking reflects my Southern roots. Even so, we were raised on simple food and, at times, the simplest (and cheapest) option was a simple box of spaghetti and a jar of sauce. So Italian food, while not a major part of my heritage, is still a big part of my cooking regimen. 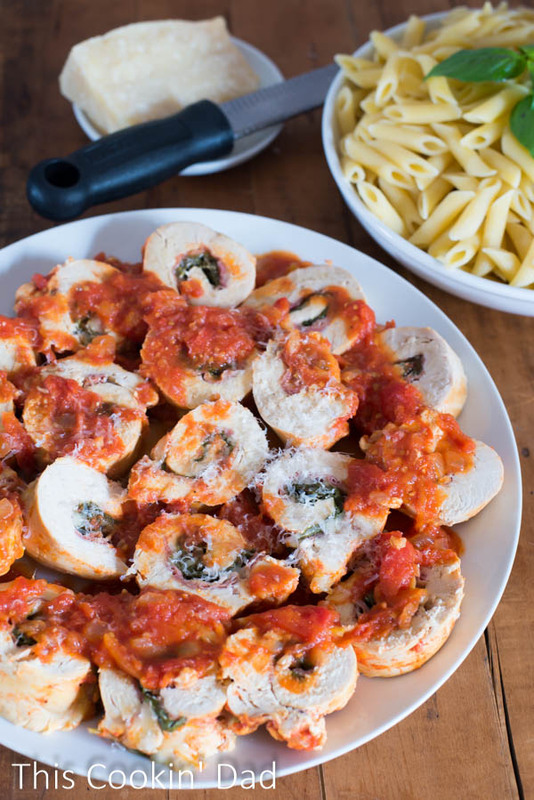 And so, when it came time to put together recipes for my braising series this month, it seemed only natural that I include a simple chicken involtini stuffed with spinach, prosciutto, and mozzarella that is braised in tomato sauce. Involtini basically consists of a thin slice of meat or vegetable wrapped around some sort of filling. This could be eggplant wrapped around ricotta or pork wrapped around, well, anything! While it looks (and sounds) incredibly high end, it is, in fact, a simple main dish to put together. 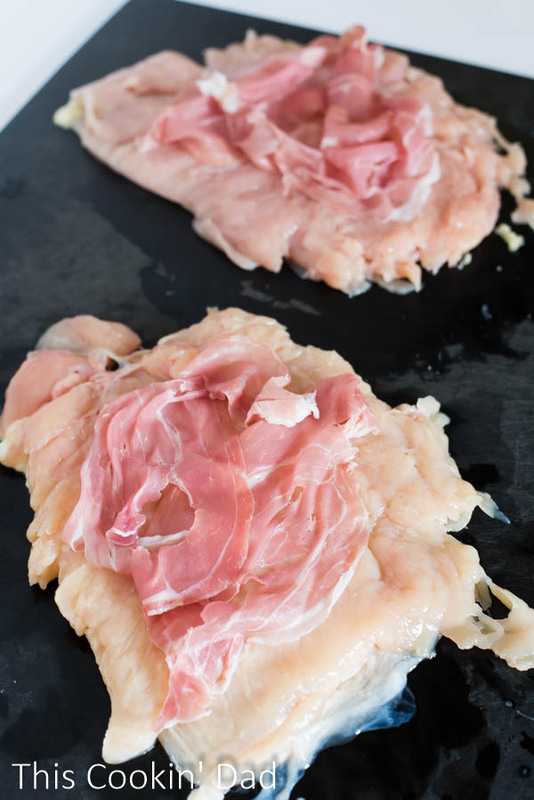 Some people refer to this as a braciole and, while the two are technically different, in this country the two are used almost interchangeably. The only difference may be in the size of the wrapper. 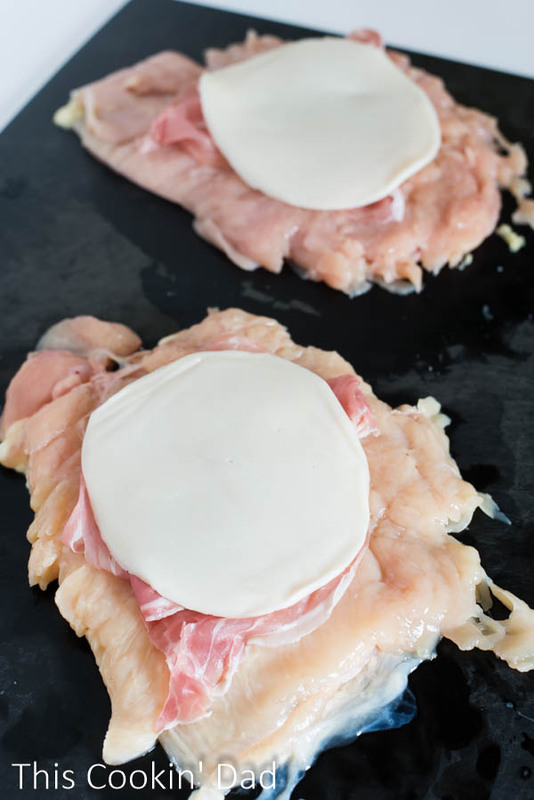 To make my version of a chicken involtini, I start with chicken breasts pounded thinly with a meat mallet. …and a small handful of spinach. Roll it all up and keep it in place with wooden toothpicks. Place into a pot of your favorite pasta sauce or make your own with my recipe below. Simmer for a good hour or so until the chicken is cooked through. Your sauce will taste just amazing! 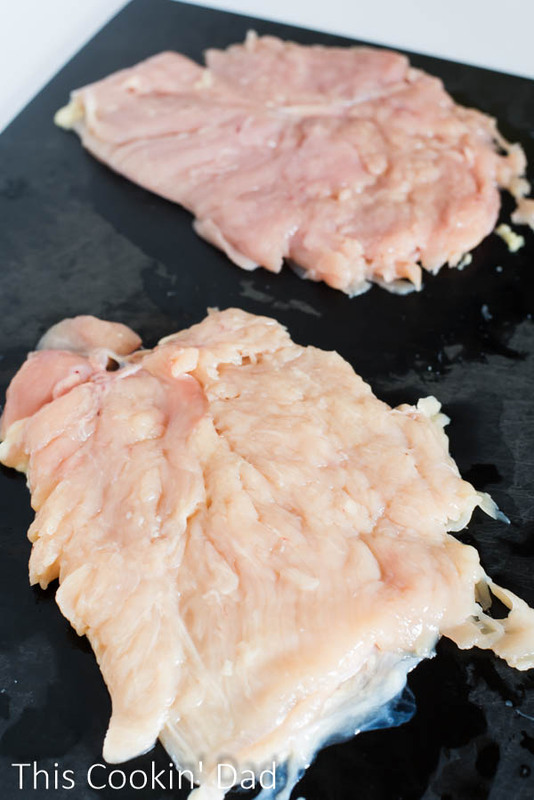 Once the chicken is done, simply slice it, plate it up, and serve with extra sauce and your favorite pasta. This is the simplicity of great cooking. Nothing complicated, nothing exotic. It’s really hard to go wrong and I guarantee that your entire family will be excited to enjoy again and again! What are your favorite braised dishes? Find more on my Pinterest page. Visit This Cookin’ Dad’s profile on Pinterest. In a medium pot over medium-high heat, add olive oil, onion, garlic, and salt and pepper. Cook for 3-5 minutes, or until the onions just begin to brown. 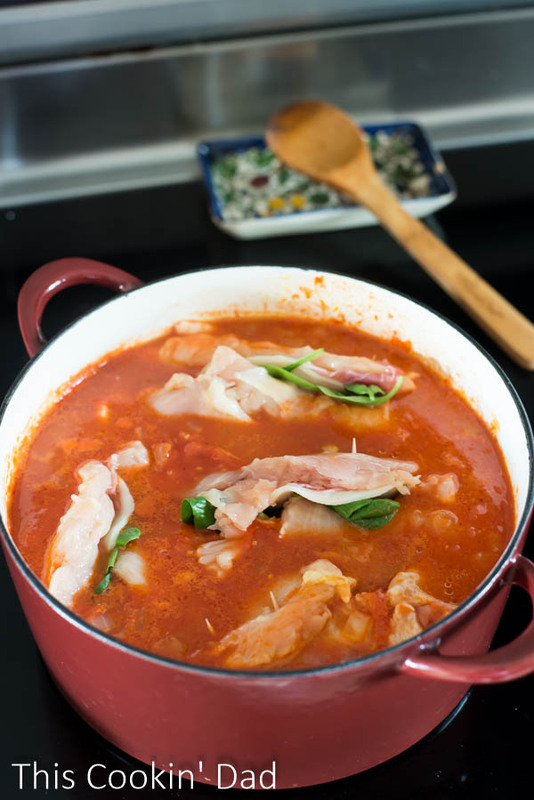 Add tomatoes, bring to a boil, and reduce heat to a low simmer. Meanwhile, top each chicken breast with 2 slices of prosciutto, 1 slice of mozzarella, and ¼ cup spinach. 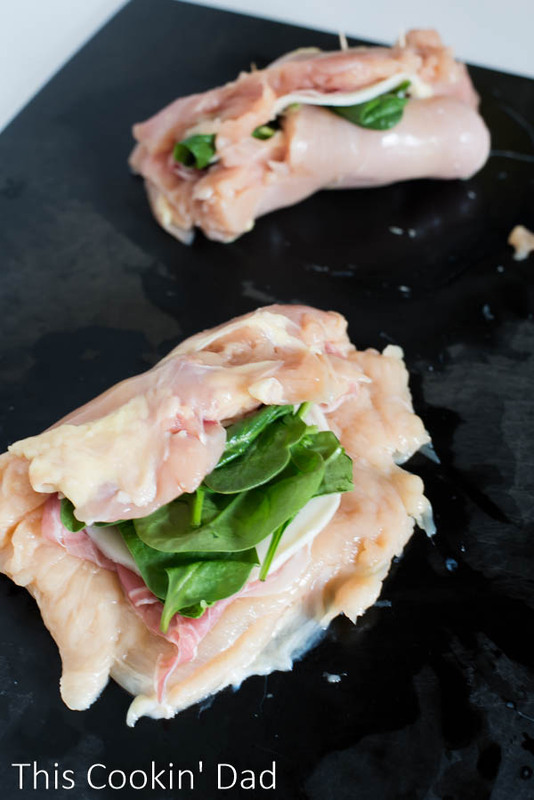 Roll each chicken breast, keeping all of the filling within, and hold together with wooden toothpicks. Place chicken rolls into the sauce and simmer for 1 hour or until the chicken is cooked through. Remove from the sauce, slice, and serve with pasta and additional sauce. Enjoy!